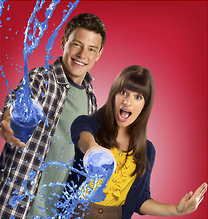 Finn & Rachel Season 2. . Wallpaper and background images in the Finn & Rachel club tagged: rachel berry finn hudson glee season 2. Not sure about her bangs? ?